Health-care providers in low- and middle-income countries are shifting their focus away from infections, and towards the bigger problems of diabetes and cardiovascular disease. Charles Schmidt is a science writer based in Portland, Maine. In the mid-2000s, a physician named Jaime Miranda began looking into how urban migration was affecting the health of people in his native Peru. 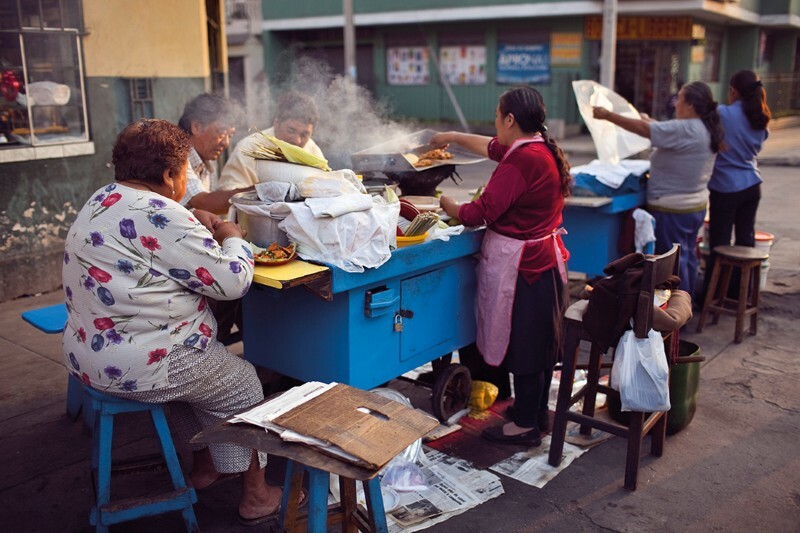 Rural villagers fleeing political violence were descending on the capital, Lima, and Miranda noticed that these urban transplants seemed prone to obesity, type 2 diabetes and other non-communicable diseases (NCDs). Miranda wanted to compare rates of NCDs in these migrants with those in other Peruvian populations. But doing so was a challenge: NCD surveys were almost non-existent in the country. “We had no good way to estimate the magnitude of the problem,” Miranda says. Inadequate capacity for NCD research — and for preventing and treating chronic diseases — is not limited to Peru. 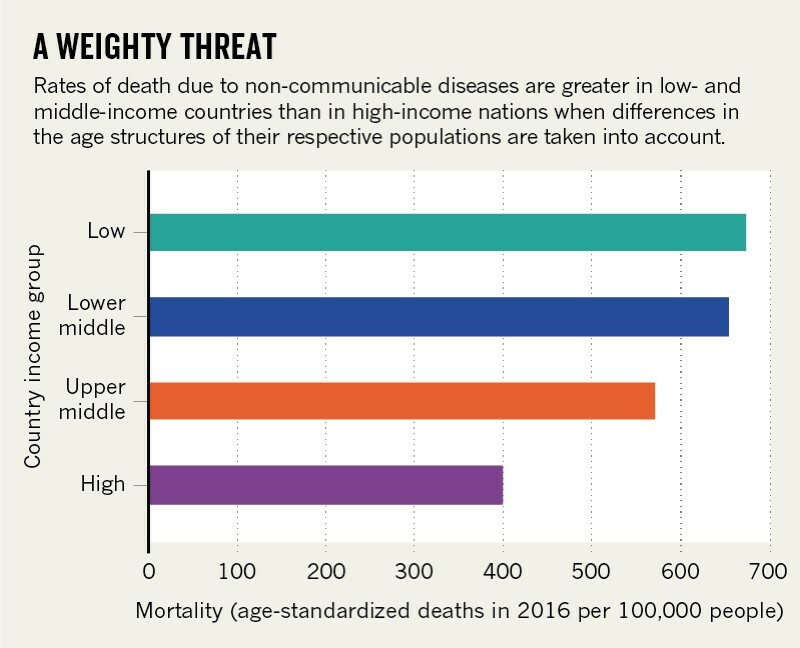 Fuelled by mass urbanization, sedentary lifestyles and the growing availability of nutrient-poor processed foods, NCDs have emerged as leading causes of death in low- and middle-income countries (see ‘A weighty threat’). Cardiovascular disease, cancer, respiratory diseases and complications from diabetes now kill an estimated 15 million people a year; 85% of these premature deaths occur in low- and middle-income countries1. And death rates from NCDs are rising steadily in poor countries. These diseases strike people younger in poor countries than in high-income ones, and they rob fragile economies of crucial human capital. Health scientists such as Miranda want to identify local NCD risk factors, so that they can deliver more-targeted responses. But shortfalls in capacity hobble their efforts. Health systems in poorer countries have evolved to cope with what were until recently much greater dangers to health, such as infectious diseases and acute threats to child and maternal health — not chronic conditions that can require lifelong management. Peru’s poor ability to monitor chronic disease was evident to Miranda. Incidence of hypertension and diabetes was higher than ever, but prevalence rates weren’t being broken down into subgroups — a major shortcoming because NCD risk factors vary between groups living in cities, the countryside and the mountains. But then in 2008, after he had finished a PhD in epidemiology at the London School of Hygiene and Tropical Medicine, Miranda learnt of a promising opportunity: the US National Heart, Lung, and Blood Institute (NHLBI) had teamed up with insurance company UnitedHealth Group in Minnetonka, Minnesota, to establish a network of 11 NCD centres of excellence in 10 low- and middle-income countries. The centres were each tasked with building local capacity to prevent and control chronic diseases, and had to partner with an academic institution in the United States, Canada, Europe or Australia. Enticed by the chance to compete for funding that would support an entire platform for NCD research, rather than just a single project, Miranda approached his friend and former PhD-thesis adviser Robert Gilman to see if he’d join the grant application. An epidemiologist at Johns Hopkins University in Baltimore, Maryland, Gilman already had extensive experience in Peru. He’d spent nearly two decades there building up three sites dedicated to monitoring infectious disease. Located in mountainous, coastal and urban settings, each site had been outfitted with computer systems, diagnostic-testing laboratories and other resources needed to characterize disease rates in the population. Now that the health burden in Peru was shifting towards NCDs, Gilman welcomed the chance to refocus the work at the sites. After the grant application was accepted in 2008, to the tune of US$5 million over 5 years, Miranda took the lead in establishing the CRONICAS Centre of Excellence in Chronic Diseases, based at Cayetano Heredia University in Lima. Fieldworkers started gathering health information from locals, using questionnaires and performing diagnostic examinations to confirm the presence or absence of chronic diseases and underlying risk factors. With the arrival of William Checkley, a Johns Hopkins physician and pulmonary-disease specialist, in 2009, CRONICAS added lung disease to its existing strengths in heart disease and diabetes. And from these nascent efforts, a database of NCD prevalence rates began to grow. Now nine years old, CRONICAS has evolved into one of Latin America’s leading NCD research centres — Narayan describes it as a “model of interdisciplinary research that is scarce in any part of the world” — and it continues to thrive on grants and donations. 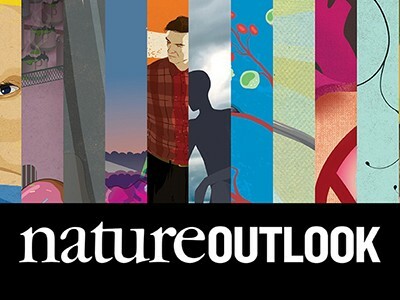 Scientists at CRONICAS have published widely in major journals, and the centre’s research is now expanding into areas such as mental health and the health effects of environmental pollution. Current projects include an investigation of consumer responses to nutritional warnings on food labels and a clinical trial assessing the effectiveness of mobile-phone technology for monitoring depressive symptoms in people with hypertension and diabetes. CRONICAS builds research capacity by providing postgraduate fellowships to investigators with varied backgrounds, and inviting junior investigators to propose research projects and take the lead in grant applications. “We want to give opportunities to students so they can get a feel for what it’s like to do research that’s consistent with international standards,” Miranda says. Thousands of kilometres away in New Delhi, the Public Health Foundation of India (PHFI) is a fast-growing powerhouse for research and teaching on NCDs. Dorairaj Prabhakaran, a cardiologist and vice-president of the PHFI, says that South Asian countries still have a long way to go in terms of building not just the research capacity but also the clinical capacity needed to prevent and treat chronic disease. For instance, like many other low- and middle-income countries, India has an acute shortage of primary-care doctors with adequate experience in NCDs. Furthermore, chronic diseases “aren’t given their due” in South Asian medical schools, Prabhakaran says. Venkat Narayan (standing) specializes in studying chronic diseases in southern Asia.Credit: Bryan Meltz/Emory Univ. To augment clinical capacity, the PHFI has launched a training programme on NCDs for practising physicians. More than 21,000 physicians have so far taken its year-long courses, which have now been expanded into Nepal, Myanmar, Bangladesh, Afghanistan and several dozen countries in Africa. Classes convene once a month, and cover wide-ranging topics, such as cardiovascular disease, stroke, women’s health and diabetes. The course augments teaching in medical school by providing “updated, focused and in-depth training in specific chronic conditions”, says Arun Jose, a programme manager at the PHFI. But providing additional training for doctors is just part of the PHFI’s broader strategy. The foundation also conducts training programmes for community health workers, who increasingly are helping to ease clinical burdens by acting as first points of contact between individuals and their local health-care systems. According to Jose, community health workers dispense lifestyle advice, assist with patient screening and physician referrals and assume responsibilities for follow-up and rehabilitative services. And their efforts are increasingly technology-enabled. For instance, the PHFI and its collaborators have created low-cost technology for monitoring people with poorly controlled hypertension and type 2 diabetes. To use it, nurses and community health workers enter patient information into a mobile-phone-based clinical-support system. The software collects and stores patient data, and generates doctor-vetted treatment recommendations that are based on each person’s health status and past medical history2. The system also sends text messages to remind patients to keep up with their treatments. A study of the technology showed improvements in blood pressure, glucose control and other clinical outcomes in patients in resource-poor settings. One of the PHFI’s major contributions has been to establish the ongoing study of 28,000 people from Delhi and Chennai in India, and Karachi in Pakistan, who undergo annual screening for heart disease and type 2 diabetes. Data generated by this work, collated by the foundation’s Center for Cardiometabolic Risk Reduction in South Asia (CARRS), which was spawned by the same grant programme as CRONICAS, have become a valuable resource for researchers investigating how lifestyle and chronic-disease risks vary at the individual and community level. On scouring CARRS data, investigators have found that chronic diseases in South Asia don’t always present as they do in more-affluent countries. Heart disease, for instance, often presents at a younger age in CARRS participants and in the absence of typical risk factors such as high blood pressure. Prabhakaran points out that participants who were malnourished early in life are prone to developing metabolic disease — a finding that’s consistent with results from Miranda’s research on urban migrants in Peru. Building the capacity to intervene early in people with type 2 diabetes is important because, left untreated, the condition spirals towards kidney disease. Chronic kidney disease is one of the fastest growing causes of death worldwide — in many countries, it now ranks in the top five. In India, rates of the illness are thought to have grown by 50% since 2003. But kidney-disease surveillance is dismal in India and in other low- and middle-income countries, and there is a pressing need to find and treat people before they need lifelong dialysis or kidney transplants — both exceedingly expensive. People with diabetes make obvious candidates for screening. According to Shuchi Anand, a nephrologist at Stanford University School of Medicine in California, around half the people affected by kidney disease in developing countries have diabetes. The rest have kidney disease resulting from non-conventional risk factors that remain poorly understood, such as low birthweight, chronic dehydration or inherited gene defects. Anand and Prabhakaran are now analysing blood and urine samples obtained from the CARRS cohort to look for markers that might predict kidney disease in people without conventional risk factors. “Ideally, they’ll point to the high-risk people we should be screening routinely,” Anand says. Anand says that it’s crucial to network with in-country partners who understand local constraints on NCD research and how to overcome them. Much of her fieldwork on chronic kidney disease of unknown origin has taken place in Sri Lanka, where she says local nephrologist Nishantha Nanayakkara has provided indispensable assistance. Nanayakkara works at Kandy Teaching Hospital in Kandy, as well as in a bare-bones clinical facility located in the remote city of Girandurukotte. “He built an itinerary that sent me to all the hotspots where the disease was occurring,” Anand says. “I could never have done without his help.” While Nanayakkara continues to help Anand survey chronic kidney disease in the country, Anand is returning the favour by providing technical assistance to medical officers at Kandy on the use of peritoneal dialysis — a home-based treatment that filters and cleans blood inside the body, rather than through an external machine. Many Sri Lankans with chronic kidney disease of unknown origin live in rural areas, and travelling two or three times a week for dialysis is difficult because it limits the time they can spend working. Peritoneal dialysis could increase the number of patients under a doctor’s care, Anand says, but both patients and carers need significant training on how to use the equipment. Salim Yusuf, a cardiologist at McMaster University in Hamilton, Canada, has worked on NCD projects in more than 100 countries, and says that the most productive collaborations happen when partners generate research questions together. “What’s most important is having a committed investigator on the ground,” he says. “It’s the personal touch that makes the difference.” Miranda agrees. A crucial factor behind the success of CRONICAS, he says, is that the way it was funded required the investigators in Peru to manage the grant. “We had to mature scientifically and bring our administrative and grant management procedures up to international standards quickly,” he says. 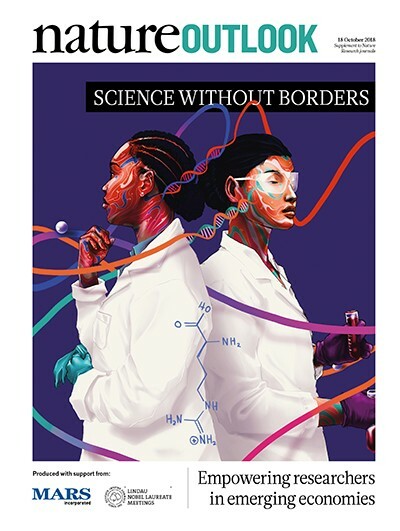 This article is part of Nature Outlook: Science without borders, an editorially independent supplement produced with the financial support of third parties. About this content. World Health Organization. Noncommunicable diseases http://www.who.int/news-room/fact-sheets/detail/noncommunicable-diseases (2018). Ajay, V. S. et al. J. Am. Heart Assoc. 5, e004343 (2016). Staimez, L. R. et al. Diabetes Care 36, 2772–2778 (2013).